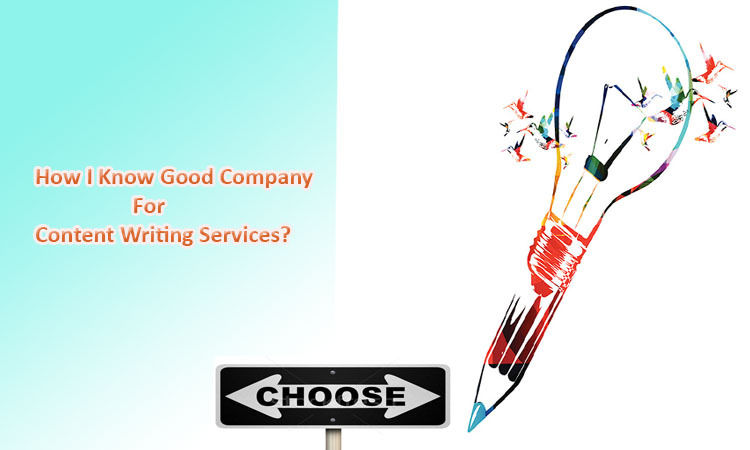 Home > Content Writing Services > How I Know Good Company For Content Writing Services? Content writing is one of the most important requirements of any website as through content the companies and businesses spread the awareness and promotion of their content to the world. Through content the search engine optimization of the websites take place and the ranking of any site improves. Writing great content which is useful for both the website and the audience is an art and not everyone can do it. It takes lot of experience and understanding to write appropriate content for the websites. Content writing services are provided by both agencies in the United States or freelancers of many freelancing sites on internet. In agencies which provide the content writing services, they have writing teams which are always trying to write a lot of content for a large number of clients. Their main aim is to make money and since they always have load of work and pressure, they are unable to meet the standard and quality requirements of the businesses. It can also be added that since these agencies are not directly in the web development businesses, they are unable to take into consideration the search engine optimization (SEO) requirements of the website. The freelancers on the other hand are mostly individuals who are doing the projects on part time basis just to boast their income a little bit. Inexperienced freelancers cannot be trusted with the complete content creation for the businesses as well the SEO content writing. In these cases the best option for businesses is to look for those web designing companies which provide all the services related to web designing at one place. Digital tool USA is a web development services providing company which also provides the services of content writing. We provide highly comprehensive services in which the complete content for the websites as well as the Search Engine Optimization of the website is taken care of, and all these services are provided within the total cost of the web development. Our package is $1500/website in which all the services are provided related to web designing and development.